Google latitude is the next victim in Google’s effort to purge old and un used projects. Google latitude was meant to give locations on Google maps that your Google latitude friends would be able to see. Google latitude will be gone, and you have only until August 9th to download your data. Google was swift to close this project, but it was also just as quick to add a new feature. Google will be integrating the idea of Google latitude into Google plus. The issue remains, when will Waze come into play. Waze was purchased by Google, and this is something that we would expect to be used. Why Is This Being Closed? Google has been known to clean up their little side projects, and this is no exception. Google is closing this project because there are so little users, the project is not being worked on, and it is a waste of resources. Google wants to have a low amount of products, but they want to integrate them all together. The reason this has not gotten the attention of Google reader is because Google was quick to give Google+ and update to replace this dying project. Now the current theory about Google Reader is that since it was shutdown Google will allow you to read your feeds within Google+ however this is all skeptics, and as of now we don’t know what Google is doing. Google+ already has the idea of Google Latitude built in, and I recommend going there because finding full support else where could be difficult. However,you never know other services might suite you better. If you don’t want to use Google+ then I recommend that you use Waze which is owned by Google so you are back to square one in a way. If you have any recommendations please feel free to place them in the comments below. 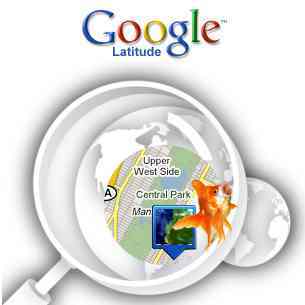 Google is shutting Google latitude due to inactivity and the waste of resources. The project has now been integrated into Google+ which means that you will still have the experience of Google Latitude without it actually being here. We recommend that if you were a heavy Google latitude user that you move to Google plus and then you wont need to leave the products that you are accustomed to. Earlier today, we announced that Google Latitude is no longer part of the Google Maps app, and we’re retiring Latitude on August 9, 2013. This means that after August 9, your Latitude friends list will be deleted, and you’ll lose the ability to share your location with them. There will also be some changes to Location Reporting and Location History, including changes to third-party applications that use Google Latitude. Please see our FAQs for more information. We understand some of you still want to see your friends and family on a map, which is why we’ve added location sharing to Google+ for Android (coming soon to iOS). Thank you for using Google Latitude.